We can also tailor packages to meet your exact needs. Simply let us know what you need and we will do the rest! Would you like more Golf? Would you like to run a competition? Whether it’s a Play and Stay… or Just Play we have it all. 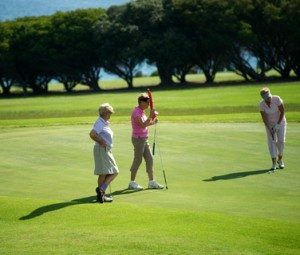 Narooma Golf Club, in conjunction with the best local on-course accommodation, now offer a range of packages and options to suit players from the social to the professional. Amooran Apartments, Narooma Golfers Lodge, Top of the Town Motel and Apollo Units now offer 2-3 night (or longer!) package options. These Play and Stay packages can be booked directly through either Amooran, Narooma Golfers Lodge, Top of the Town Motel and Apollo Units – see below. Just Play packages (with no accommodation component) are also available directly through the club. With commanding views across Narooma Golf Course to Montague Island and Glasshouse Rocks, AAA 4-star rated Amooran Oceanside Apartments & Motel is an ideal accommodation option for golfers visiting Narooma. 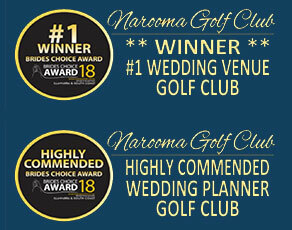 Narooma Golfers Lodge is conveniently situated across the road from Narooma Golf Club. Enjoy beautiful views of the ocean and the Golf Course. Top Of The Town Motel is located in the heart of town and walking distance to all shops and eateries. Top of the Town Motel offers spacious modern rooms with free WiFi. With a stay at Apollo Holiday Units, you will be minutes from Narooma Visitors Centre and close to Bar Rock Lookout. Contact us to discuss your golf package requirements. We can tailor any golf package to suit your individual golfing requirements. Note: All packages exclude peak season (24th Dec – 31st January) , public holidays and competitions. Confirmation – All reservations must be confirmed by first reading and understanding these Terms and Conditions. Completion of the booking confirmation form and a deposit are then required to secure the selected golf package on the date nominated. Deposit – A deposit that equals $100AU is required when booking is made. An invoice for the balance of monies owing will be issued and must be paid one day prior to tee time. Cancellations – Cancellation of a golf package must be made in writing and refunds will be issued as follows. More than 14 days notice – 100% of deposit refunded. Less than 14 days notice – no refund will be made. Prices – All prices are valid for packages held prior to January 1st 2019. Circumstances beyond our control may result in a price increase after this date. All prices are inclusive of GST. Weather Conditions During Your Golf Package – Bad weather is not accepted as a reason for cancelling your golf package unless the course is determined unplayable by those in charge of the course. If the course is deemed unplayable it will be closed. If you are unable to play golf due to golf course closure we will try to find an alternative day to play during your stay or issue a refund. If the course is open but carts are not allowed due to weather the cart price will be refunded from the package price. Narooma Golf Club cannot be held responsible for cancellations due to weather conditions.